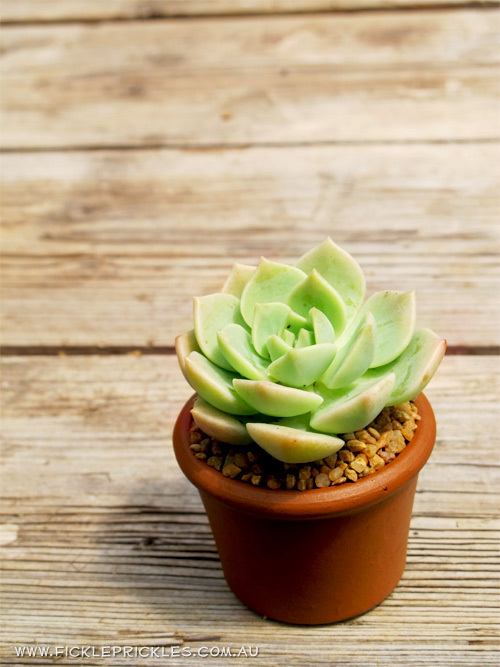 Classics – 5cm wide pot (up to 14cm in height with plant). They come in a yellow, cylindrical shaped plastic pot. This range will require 6-8 weeks notice. $4.50 each. 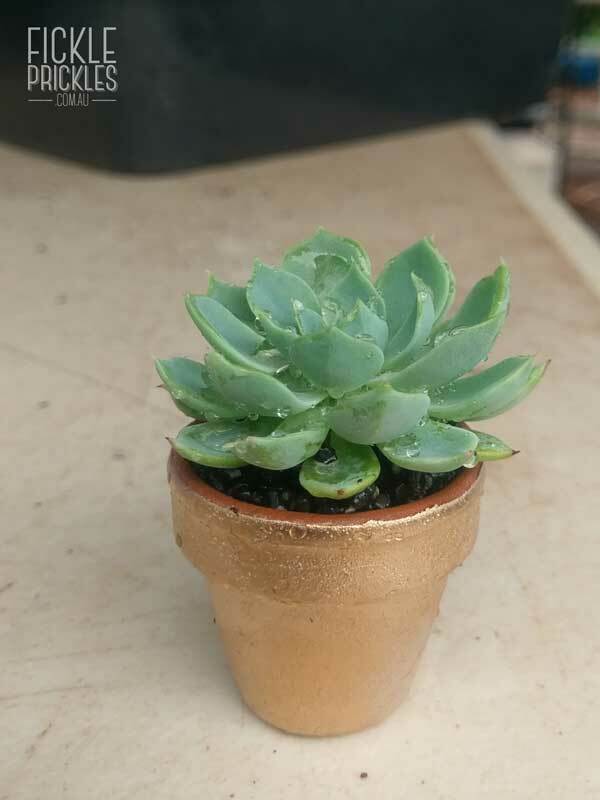 Collectables – 6.3cm wide pot (up to 14cm in height with plant). 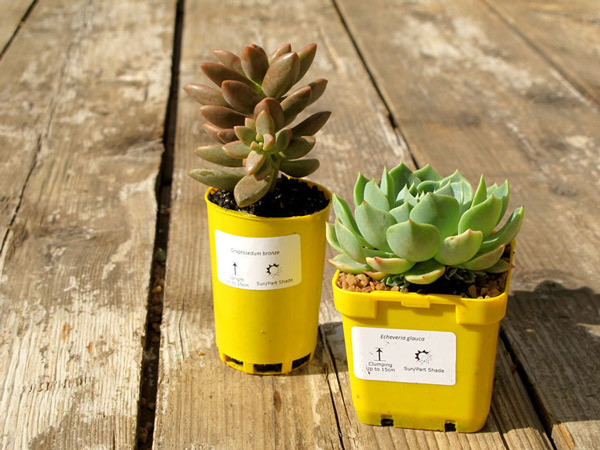 They come in a yellow, square shaped plastic pot and are topped with natural coloured gravel. This range will require 6-8 weeks notice. $6.50 each. 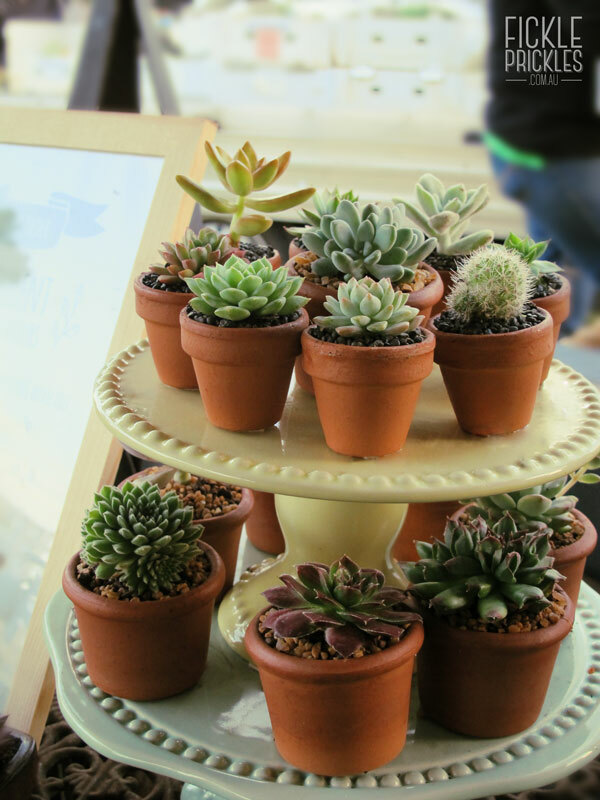 4cm Terracotta pots – 4cm wide pot (up to 7cm tall with plant). 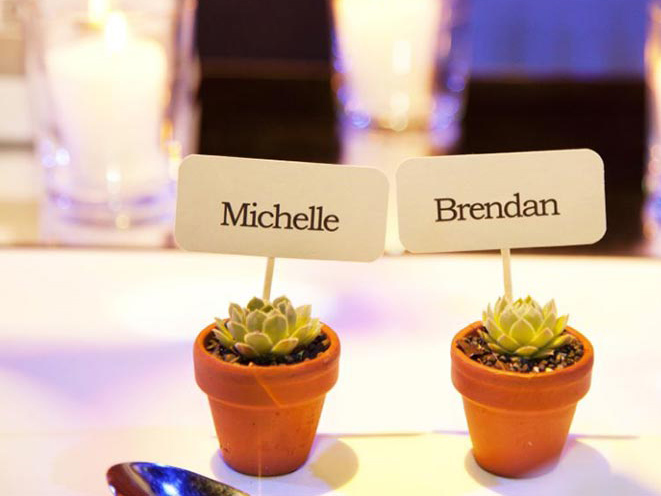 These are really cute and petite and are topped with fine, black gravel. This range will require 10-12 weeks notice. $5.50 each. 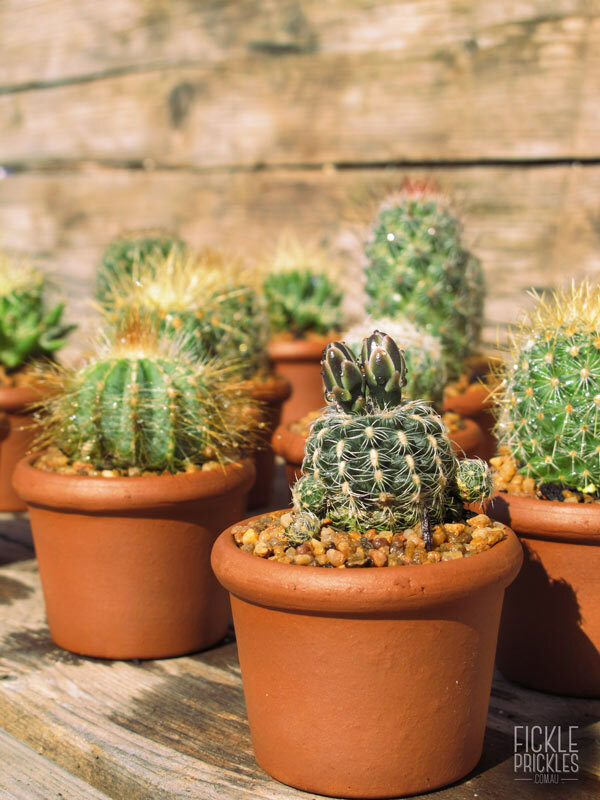 6cm Terracotta pots – 6cm wide pot (up to 11cm tall with plant). These come in a round, squat terracotta pot and are topped with natural coloured gravel. This range will require 6-8 weeks notice. $6.50 each. 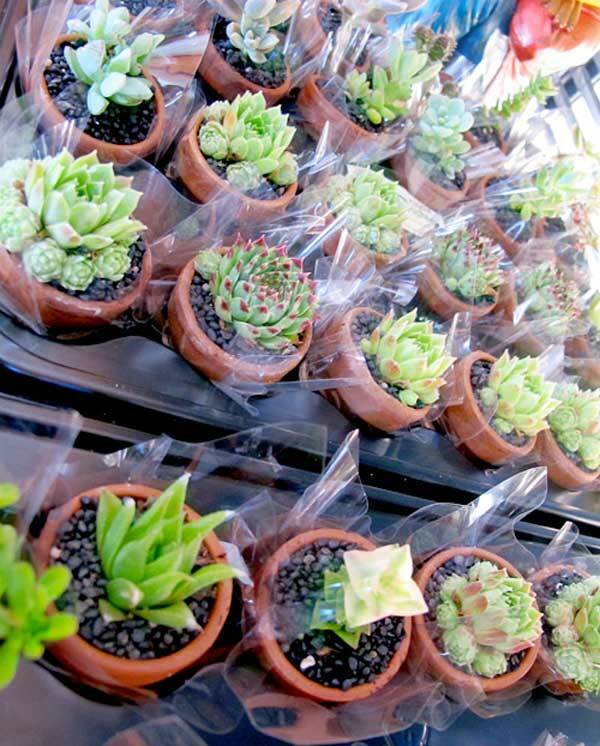 This pricing structure is based on mixed varieties of succulents (A general mix of colours, genera and habits/shapes. Cacti additional.). 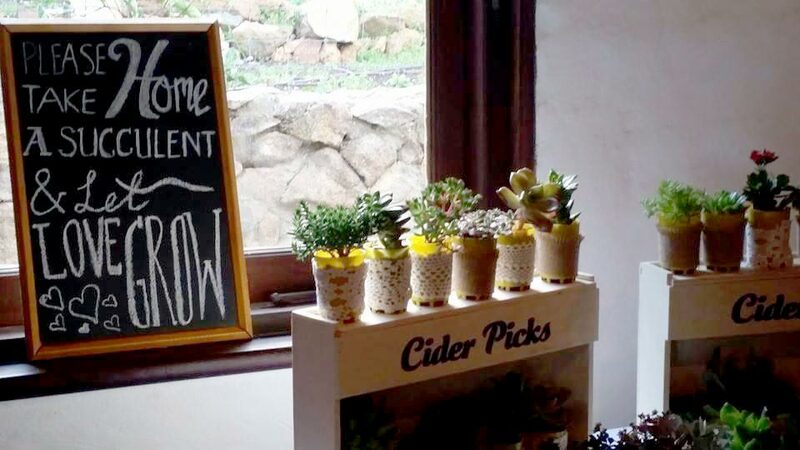 Minimum order quantity is 50 plants, and this comes with free delivery to a Perth metro address. Please contact us for pricing if you have any special requirements – ie, all rosettes, all purple tonings, custom containers etc. If you are outside of the Perth metro area, we can assist in finding a courier that will deal in open boxes that service your location. However this will be at your own expense. 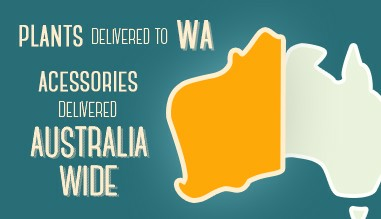 We are happy to deliver to a courier depot in the Perth Metro area free of charge. 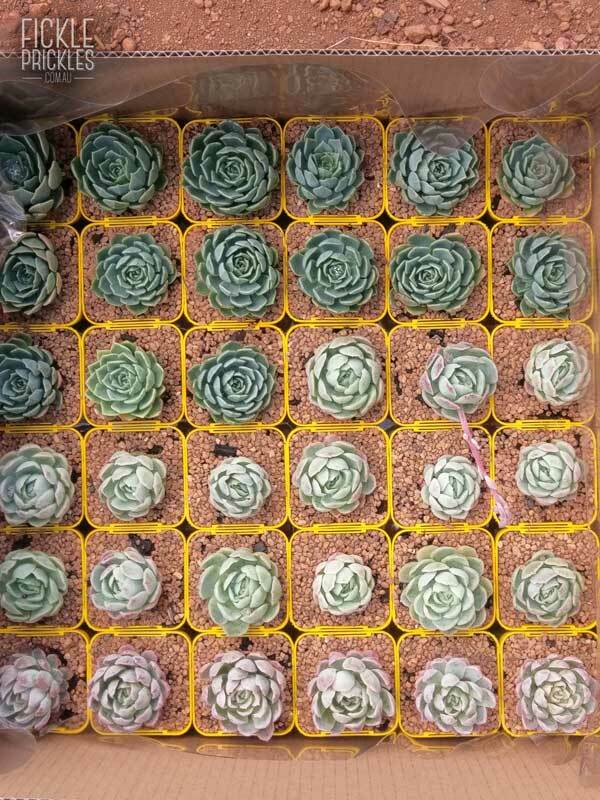 Due to quarantine restrictions, we can only send succulents to areas within Western Australia (WA). 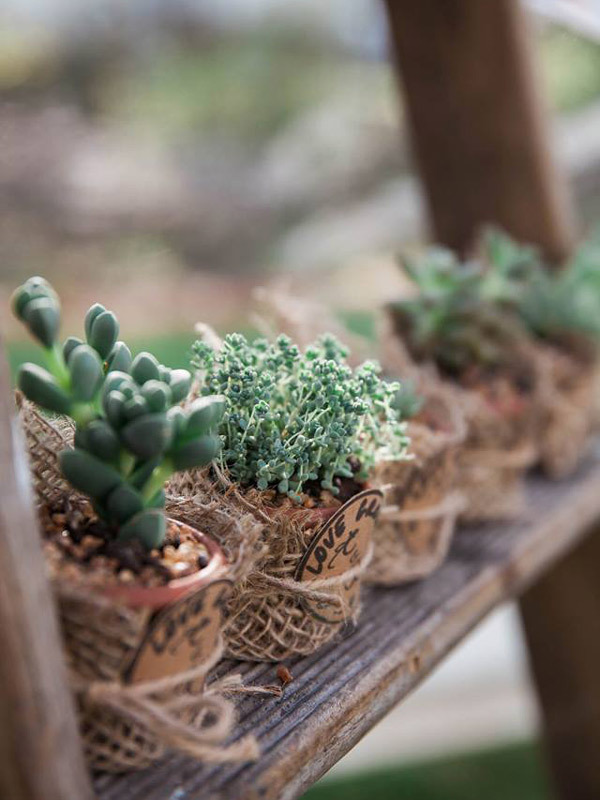 To enquire about succulent favours for your wedding or event, please contact us at sales@fickleprickles.com.au.